Barev dzez (hello), to all my Armenian friends who will be reading my love letter to their country’s pop music and TV series. Although my country, Pakistan, doesn’t have any sort of formal diplomatic relations with Armenia because of diplomatic pressures on Pakistani leaders from Armenia’s adversaries Turkey and Azerbaijan, I have been in love with your great nation Armenia. Armenia for me isn’t just a country surrounded by hostile neighbors like Turkey and Azerbaijan, or a country that Kardashians, Cher, and Charles Aznavour have made popular globally. Armenia for me is a cradle of civilization, a land of unspoiled beauty with its snow-peaked mountains, lush green valleys, and life-giving rivers (which I have seen in different online documentaries about Armenia, out of my curiosity to know more about your great nation). Armenia is a land that has been continually invaded by different civilizations and has been a battlefield for rival empires, but has maintained its character and nature in the midst of all invasions and all attempts by outsiders to eradicate the identity of Armenians. Greater attempts to eradicate Armenia from the map of the world and to deprive Armenians of their identity resulted in greater resistance from sons and daughters of your great nation to safeguard their national identity and motherland. Armenians showed to the world that the use of physical force and power is not adequate to extinguish their passion and devotion for their nation. I have always been quite curious and eager about exploring Armenia, as it is a country with which my country’s relations are almost nonexistent, and that nonexistent part was enough to augment my curiosity to explore Armenia. However, I cannot travel to Armenia as a Pakistani citizen because of nonexistent Armenia-Pakistan relations and nonexistent Armenian embassies or consulates (or anything pertaining to your beautiful nation) in Islamabad, Lahore, Karachi, and other cities of my country. Because of all such barriers to accessing Armenia and Armenians, I decided to explore Armenia (a country that many in my country do not even know exists on the world map) through the medium of music and TV series. I have been vehemently against all the anti-Armenian one-dimensional and biased coverage of Nagorno-Karabagh (Artsakh) conflict between Armenia and Azerbaijan by my country’s media, and that biased media coverage also played a pivotal role in my exploration of what Armenia really is. Is it really such a “bad” country? The only thing reported about Armenia in Pakistani newspapers or news channels, and only too occasionally, is that “Armenia is killing Azerbaijani brothers of Pakistan.” That biased media coverage also irked me and furthered my curiosity to explore Armenia. Armenian pop music and TV series, like Full House, were my only resort to exploring an Armenia that is different from the one portrayed in Pakistani, Turkish, and Azerbaijani media. My first-ever foray into Armenian culture was through Armenian pop music and songs of singers like Lilit Hovhannisyan, Mihran Tsarukyan, Lusine Poghosyan, Gaby Galoyan, and Hripsime Hakobyan. One day, while I was looking for some new song of Katy Perry’s on YouTube, I came across “Es Em Horinel” by Armenian pop singer Lilit Hovhannisyan, and that song was even better than the Katy Perry song I was looking for. And that is when my exploration of Armenia started, along with the eradication of all the stereotypes I had heard about Armenia and Armenians. Lilit had a mesmerizing voice that soothed me, and I practically had ear orgasms even though the song melodiously sung by Lilit wasn’t in my native language or in a language I can fathom easily; it was in Armenian, and from then onward I also fell in love with the Armenian language. I then also started studying Armenian, and I found this ancient and legendary language full of beauty as its speakers are. I also started eagerly discovering the historical background of Armenian, and I was astounded when I discovered that Armenian thrived in Europe, Russia, and elsewhere in the world where Armenians were living before the creation of an independent state of their own, before Armenian independence from the USSR in 1990s. I also found Armenian more fascinating when I found out that Armenian has similarities, and shares many words with, Iranian Farsi, as Farsi has so many words in common with my native language and mother tongue, Urdu (the national language of Pakistan), and there is a strong Iranian influence on Pakistani culture, alongside the influence of Indian and Arab cultures. Armenian has the word sug for “grief,” and both Farsi and Urdu also have soog for grief, which shows how we are connected through our respective languages, even though the link between Armenian and Urdu is distant and there is an intermediary, Farsi. But it still connects us somehow, despite almost nonexistent Armenia-Pakistan relations and Pakistan’s not recognizing Armenia as a state. Other words in common* between Armenian and Urdu include the word for time, vaght, as Armenians call it, while we Pakistanis call it waqt. We have the word jawan for young, similar to jivan in your jahel-jivan. We also have the word for the color orange in common, as you have narinj and Pakistanis have naranji in Urdu. You have nshanfor sign and we have nishan in Urdu. You have the word tag for crown, and we have the word taj. Tsavum yem (I am sorry) for deviating a bit from the topic of my article, which is about my love for Armenian pop music and TV shows, and I hope I will be able to write an entire article on the common words between Armenian and Urdu after this article for Armenian Weekly. After listening to several songs of Lilit Hovhannisyan, including “De El Mi” (in which she had an Indian Bollywood theme to her song video), I was more mesmerized and allured by Lilit’s magical, melodious voice. In “De El Mi,” it seemed as if Lilit isn’t from a country far from Pakistan, but a familiar Bollywood diva who dances as if she is the sweetheart of millions and as if the stage is her paradise on Earth. Lilit did not seem too foreign in that music video of “De El Mi” to me, and she danced like Bollywood queens, such as Deepika Padukone and Priyanka Chopra. I know some Armenian friends reading this must be astonished over my going easy with Bollywood, which is an Indian movie industry, whereas India is perceived globally as not on good terms with, and arch-rival of, Pakistan, but that is all the rubbish spread by politicians for their own benefit; the public in Pakistan and India love each other, and in fact Pakistanis are as big fans of Bollywood as their Indian counterparts. After songs like “De El Mi,” “Es Em Horinel,” “Te Axjik Lineyir,” and “Indz Chspanes,” I also came across another melodious hit of Lilit’s, “Te inchu em qez sirum” (Why do I love you)with another Armenian pop star and charming actor Mihran Tsarukyan, and that song has been pivotal in healing me whenever I feel sad or whenever I confront some problem or a stressful tribulation. Their duet of magical voices has always been enough to heal me and take me out of gloomy stress. Apart from Mihran’s brilliant singing, I also fell in love with his acting in my favorite Armenian TV series, the comedy-drama Full House, in which he played the role of Arsen Grigoryan, who is Lika’s (Lika is the boyfriend of one of the main characters of the series, played by the stunning Armenian actress Arpi Gabrielyan, in Seasons 4, 5, and 7). This TV series gave me further insight into the daily lives of Armenians enjoying their lives—and not always fighting some war or doing something “bad” as portrayed by the media here. Apart from Mihran Tsarukyan and Arpi Gabrielyan, in this TV series I also relished the acting of Gor Hakobyan as Feliks, who was Tatev’s (played by actress Ani Yeranyan) boyfriend from Season 5 onward. I also relished a scene in one episode (I have unfortunately forgotten which), where Lika and Arsen and some other characters dance to a hit Bollywood song from the movie Dirty Picture.That scene was so fun-filled, with every character supposedly in Indian attire, that I couldn’t take my eyes off each character even for a minute. I also fell in love with songs like “Davachan Es” by Gaby Galoyan, who also splendidly danced throughout the entire song, which was for me a kind of a mélange of Western and Eastern values. From the accompanying dance to the background music, the song had vibes of both something old and something new—also true of Armenia, which is an amalgam of old and new, possessing both a glorious past and a progressive present, and a potentially progressive future. And how can I forget how infatuated I am with the song “Sers” by diva Lusine Poghosyan. That song, apart from being melodious, has a scenic and beautiful video shot on a seashore. And last but not least is another ravishing Armenian singing queen, Hripsime Hakobyan, whose song “Im Sirt Liqn A” has been my all-time favorite, especially the music video’s traditional Armenian dance—which, well, wasn’t too traditional but was, again, as in Gaby Galoyan’s “Davachan Es,” a beautiful amalgam of East and West (more specifically, Eastern Europe and Middle East, to my eye). I hope those reading my article will like the kind of exploration of Armenia I had through pop music and TV series like Full House. My exploration reinforces the notion that art, including music, has no boundaries and is always free. Tstesutyun (goodbye), my Armenian friends, and arrayzhm (see you soon)! I hope one day to be able to visit Armenia and relish your great nation by beholding its natural beauty and glorious ancient monasteries and churches, and also food festivals like the Dolma festival, in person. Sarmad Iqbal is a Pakistani blogger, writer, and student who has a penchant for reading, writing, learning languages, and studying religions, cultures, and geopolitical affairs, and can be reached at his twitter id @sarmadiqbal7. *Editor’s note: Many of the words cited by the author as Armenian are in fact from colloquial usage, and they are borrowings from Iranian languages, Arabic, and Turkish. Can Harissa act as an ice-breaker between Armenia and Pakistan? 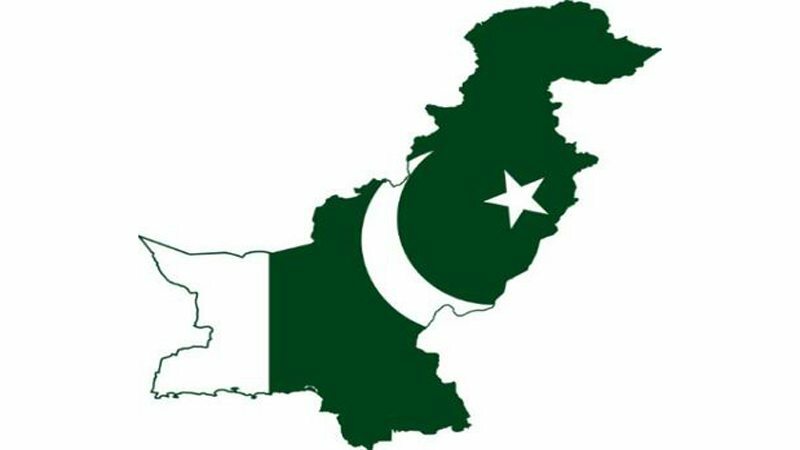 Although Pakistan doesn’t have any sort of formal diplomatic relations with Armenia because of pressures on Pakistani leaders from Armenia’s adversaries and it’s so called Muslim biraders Turkey and Azerbaijan, I have been in love with this small and young but geo-strategically important Caucasian nation. Pakistan has been quite hostile to Armenia without any logical reason ever since the latter gained its independence from the ailing USSR in 1991. I lament all the above mentioned anti-Armenian policies, however, unfortunately have been pursued by the honourable government of our country. Armenian culture with its classical music and immensely riveting language has always enchanted me and struck me as a culture not too alien but somewhat familiar with its spiffing blend of Eastern and Western values. I found Armenian language enthralling when I came across the fact that Armenian has similarities and shares many words with Iranian Farsi. Farsi has many words in common with our Qaumi Zaban (national language), Urdu. Armenian language has the word sug for “grief,” and both Farsi and Urdu also have soog for grief which shows exactly how we (Pakistanis and Armenians) are connected through our respective languages even though the link between Armenian and Urdu is distant and there is an intermediary, Farsi. But it still connects us somehow, despite the almost nonexistent Armenia-Pakistan relations and Pakistan not recognizing Armenia as a sovereign state. Other words in common between Armenian and Urdu include the word for “time”, vaght, as Armenians call it, while we Pakistanis call it waqt. We have the word jawan for “young”, similar to jivan in Armenian. Both Pakistanis and Armenians also have the word for the colour “orange” in common. Armenians call it narinj, whereas Pakistanis call it naranji in Urdu. Armenian language has the word nshan for “sign” and we Pakistanis use nishan in Urdu. I am sorry for deviating a bit from the topic of my article which is about a food dish connecting Pakistan and Armenia, but I promise to write an entire article on the common words between the Armenian and Urdu language soon after I am done with this. 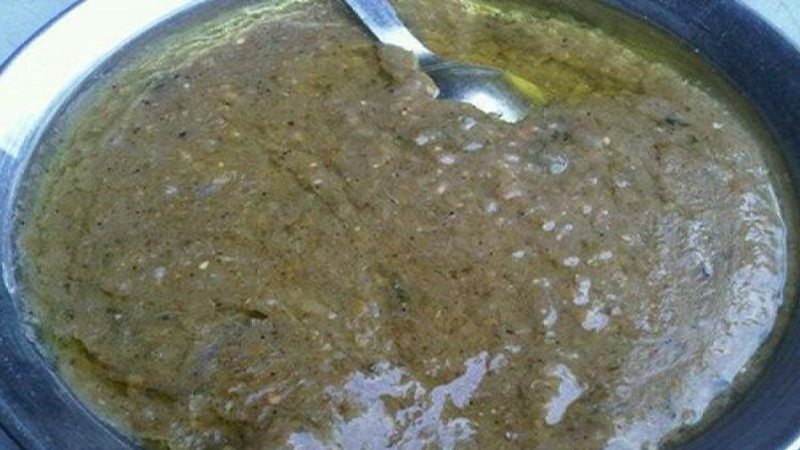 The food dish which we (Pakistanis and Armenians) share with each other is a delicacy that is being relished as greatly in Armenia as it is in Pakistan, and that food delicacy is Harissa. I hope many Armenian friends who will be reading my article will be amazed to read about their very own Harissa’s popularity in Pakistan which is indeed a popular food dish in the country and especially amongst the Pakistani Kashmiri community (well-known for their flair for cooking luscious mouth tantalizing delicacies). Harissa has been one of the very reasons why people flock to the mirthful food streets of Pakistan’s dil (heart) and cultural capital, Lahore, especially the one in the Gawalmandi area, renowned globally for its diverse food palette and historical buildings reminiscent of the city’s golden past. Harissa is originally an Armenian dish from the Ararat plain. It is a thick porridge made from roasted cracked wheat and fat-rich meat, usually chicken or lamb. Herbs were substituted for meat in harissa when Armenian religious days required people to fast. According to Armenian lore, the patron saint of Armenia, Gregory the Illuminator was offering a meal of love and charity to the poor. There weren’t enough sheep to feed the crowds so wheat was added to the cooking pots. When everyone noticed that the wheat was sticking to the bottom of the cauldrons, Saint Gregory advised, “Harekh! Stir it!” Thus, the name of the dish, harissa, came from the saint’s own words. Harissa has been offered as a charity meal ever since. However, in Pakistani Kashmiri culinary practices, goat meat is often used for cooking Harissa instead of lamb or chicken. As a self-declared gastronome, I have also relished this delectable delicacy at one of the eateries in Lahore’s mashur-e-zamana (all time popular) Gawalmandi Food Street, and I still remember how gratifying that experience was for me. Today, Harissa is a sought after delicacy for many Kashmiris and non-Kashmiris alike, and many of those who are obsessed with Kashmiri food herald the commencement of the winter season in the Indo-Pak subcontinent by savoring Harissa at renowned Harissa restaurants scattered across different metropolises and towns in Pakistan and Northern India. I hope everyone reading this article will utterly relish the fact that how connected our countries (Pakistan and Armenia) are through a simple food dish despite being separated by thousands of miles and having non-existent mutual relations. I wish one day our great nations will become great companions (an English word with French origin, meaning those who “eat together”), and I wish we will one day eat Harissa together after the normalization of mutual ties. The US Department of State has ranked Armenia among the safest countries for travel. On January 10, 2018, the Department of State launched improvements to how they share information with U.S. travelers. The improvements are meant to provide US citizens with clear, timely, and reliable safety and security information worldwide. Under the new system, every country has a Travel Advisory, providing levels of advice ranging from 1 to 4. Armenia has been included in Level 1, the lowest advisory level for safety and security risk. Armenia’s neighbor Georgia has also been ranked in the same category, while Azerbaijan has been included in Level 2, where the State Department recommends to exercise increased caution. The US Department of State cautions citizens not to travel to Iran. Yerevan is awarded Financial Times nomination "City of cultural and historical heritage"
ArmInfo. Yerevan was awarded the Financial Times "City of cultural and historical heritage" nomination in the "Tourist destinations of 2017-2018". According to the publication, the city provides ample opportunities for investors. 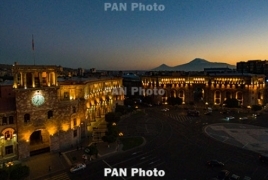 The opportunities of the Armenian capital were highly appreciated by the nomination "International cooperation", since Yerevan cooperates with 50 foreign cities and is a member of 8 international organizations. The publication also reports that the Armenian capital is constantly expanding its international relations. PanARMENIAN.Net - The host of Sidedoor, the Smithsonian’s podcast, Tony Cohn fell in love with Armenia after visiting the country to report a story on wine cultural heritage. Here’s what Cohn learned before the trip: in 2007, the oldest known evidence of winemaking was discovered in the Areni-1 cave complex. It’s this very site in southern Armenia that has had a major impact on how archeologists understand humanity’s earliest civilizations. While in country, he received a site tour from the scientist who discovered the centuries-old artifacts and interviewed him about the impact the excavation has had. After the journey, that lasted just over forty-eight hours, instead of writing some poetic entry about the life-changing experience he had in Armenia, the author reveals photos of the various things he witnessed and experienced in Armenia, like the Vernissage open-air market in downtown Yerevan, the winemaking process, the oldest winery in the world and much more. “I’ll do you a favor and cut to the chase: I fell in love with Armenia,” he says. The 2018 Smithsonian Folklife Festival inviting everyone to experience human towers with the Catalans, Armenian craft and cooking demonstrations, traditional-meets-contemporary styles from around the African continent, and much more. Cooks and winemakers will share their experiences with traditional recipes and the ways in which food- and wine-related enterprises have shaped their cultural identity and created a pathway for exchange—both within Armenia’s boundaries and across Diaspora communities. About 1.5 million tourists visited Armenia in 2017, which, according to official statistics, is an 18.7% growth compared to the previous year, and it’s the highest since 2010. Russia remains the top source of visitors to Armenia. However, the Filipinos have unexpectedly outstripped other nations as to the dynamics of growth in tourist arrivals. The number of Filipino visitors to Armenia increased by 32.6 in the past three years. A total of 674 tourists from the Philippines visited Armenia in 2014, while in 2017 it was 22 007. The Marilagner family came from the Philippines. They bought a private house in Yerevan and transformed it into a guesthouse. Although it’s already March, there is still a Christmas tree in the lobby corner. “We enjoy lengthy Christmas celebrations,” said 26-year-old Renato, who runs the business, laughingly. He first arrived in Armenia in December 2016. At the time Renato was involved in digital marketing in Dubai and was cooperating with travel agencies. “My brother-in-law suggested that we start some business in Armenia, and I said: ‘Okay, why not?’ There was much snow here that year. You see, the Filipinos don’t have snow in their homeland, and they find this country very fascinating,” he said. 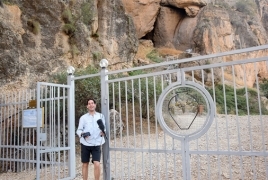 According to Renato, his guests are mainly attracted by Armenia’s lifestyle and culture. The Filipino Catholics also show an interest in the spiritual monuments of the first Christian country. He immediately revealed the secret of the Filipino boom, which turned out to be far more prosaic: the reason his compatriots travel to the Caucasus is not that they just want to see Mount Ararat and medieval churches, but far more than that. Many of those who travel to Armenia work in the Persian Gulf, the UAE or Qatar. The Filipinos who work in those countries have to leave and then return back to those countries from time to time so as not to violate the migration laws. It was for that very reason that they used to travel to Singapore, Sri Lanka, Nepal, or just returned home. However, it was extremely time-consuming and expensive. Some 2-3 years ago they discovered Armenia, a new destination which is a short three-hour flight away from Dubai, with a round trip ticket amounting to about USD 300. “When we first moved here, we found it hard to communicate with the locals. Many people here, especially the elderly, don’t know the English language – they speak either Armenian or Russian. So we didn’t know how to communicate with them. The young people helped us a lot. “Generally speaking, Armenians are very polite and always eager to help. Even if they don’t understand your language, they still try to help somehow. For example, once we were looking for a place where we could get a bite, some fast food. Two young people whom we asked the way couldn’t explain it to us, so they took us to the right place,” said Renato. The World Tourism Organization (WTO) defines a tourist as someone who travels to a place other than that in which he/she usually resides be it for leisure, medical treatment, family matters, or for ‘business, religious or other purposes’, and who stays there for at least 24 hours and for not more than one consecutive year. Most Filipino tourists stay in Armenia for no more than three days. During that period, Renato organizes sightseeing tours for them, he organises transport and provides accommodation if necessary. “They would come and say: ‘Kuya’ (elder brother in Filipino), please reserve a tour for me for tomorrow morning, I would like to see Armenia.’ When they travel back to Dubai, they convince others that they should visit this place as all four seasons are available here (he says, smiling). Many also take a car ride from Yerevan to Georgia, where they stay for a day. Then they return here and fly back to Dubai,” he said. A key indicator of a successful business is a desire to expand. Renato and his friends are expecting more guests this year, including from Europe, Russia and the Middle East. They have already rented out premises in downtown Yerevan, where a new branch of their hostel will be opening soon. The majority of tourists visiting Armenia in 2017 came from Russia (39.7%). Georgia (21.8%) and Iran (15%) were also among the top source countries of tourists to Armenia in the reporting period. The Armenian government recently announced its intention to increase the number of international visitors to 3 million by 2022. Edited by gamavor, 03 April 2018 - 06:36 AM. YEREVAN, APRIL 6, ARMENPRESS. Columnist of British News The Essential Daily Briefing portal Dimitris Hall has published an article about Armenia, naming the 5 places where, according to him, any tourist should visit. “This former Soviet city is older than Rome and is full of ancient and modern culture interacting in interesting ways”, ARMENPRESS reports he wrote. The author notes that Ararat is one of Armenia’s best-known brandy makers, but not the only one. “In fact, the Noy Wine Factory is built on the foundations of a 16th-century fortress, the walls of which are accessible from the cellar”. Dimitris Hall also advises the tourists to visit the Lovers’ Park. “It’s right in the city centre, a quiet oasis close to all the important government buildings and sights, such as the Presidential Palace and the National Assembly, and is surrounded by fountains, plants, flowers and statues”, he wrote. The author also advises to see the Public Radio located in the city center. “One of Yerevan’s most important claims to fame isthe jokes connected to Radio Yerevan and its public radio company from the days of the USSR. The popularity of these jokes across the Iron Curtain during the Cold War brought the East and West closer together, and they can still be heard in some countries to this day”, Dimitris Hall wrote, advising to also visit Yerevan Museum of Folk Art and get acquainted with the works of sculptor Eduard Ghazaryan. “The man known as the “Armenian da Vinci” was the creator (and player) of the world’s smallest violin. Eduard Khazaryan passed away in 2012 and was a polymath sculptor that worked to extraordinarily microscopic levels, often creating works of art smaller than a grain of sugar or containing elements hundreds of times thinner than a human hair. His work was exhibited in the US, where it was dubbed an “8th wonder of the world”, he wrote, advising to finally visit the Yerevanian Lake where a trolleybus with 96 passengers onboard fell into. “Yerevanian Lake. an artificial reservoir in the outskirts of the city, hides secrets in its depths. In 1968, Paleolithic obsidian tools were discovered in a flooded cave on its shores, now belonging to the US Embassy in Armenia and currently out of bounds. Only 8 years later, in 1976, a trolleybus fell into the reservoir carrying 96 passengers, most of which did not survive. Amazingly, world record-breaking fin-swimming champion Shavarsh Karapetyan was jogging along the lake at the time and made history by heroically diving in and managing to save 20 of the trapped passengers from a depth of 10 metres. His sports career was ruined, and the tragedy, too negative for the USSR’s image at the time, was censored within the country, but that only made this lake’s reputation greater”. My favorite sculpture in Yerevan is on Abovian street. I don't know who is the author, but it is genius. If you don't have a head (brains) you will circle around for eons to come. YEREVAN, AUGUST 17, ARMENPRESS. 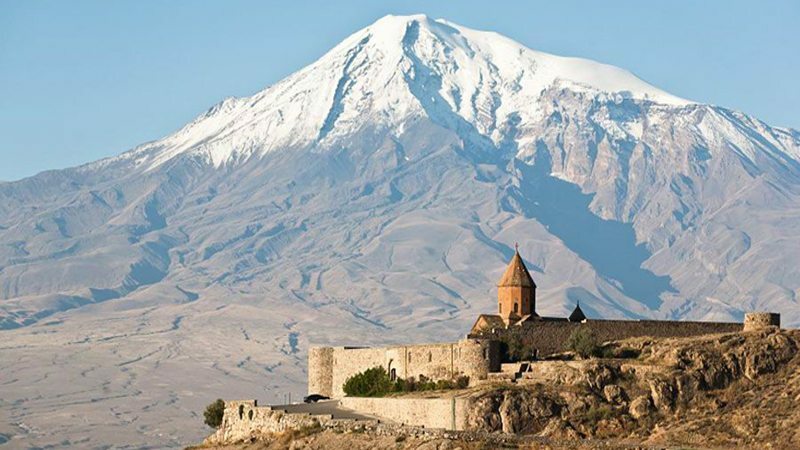 The German Reise-Stories trip guide published an article with the support of the Armenian Embassy in Germany headlined “Armenia- Gorgeous nature meets the history of the 3000-year-old culture”. “When you first visit Armenia, you understand that it is worth visiting this country, which was the first country to officially adopt Christianity. Armenia’s capital city Yerevan is one of the oldest cities of the world. Matenadaran is located here where you can see 15 thousand Armenian and 5 thousand foreign manuscripts. Some of the manuscripts are very unique dating back hundreds or thousands of years ago”, ARMENPRESS reports the article reads. The author also strictly advises to visit the Armenian-Genocide memorial complex. 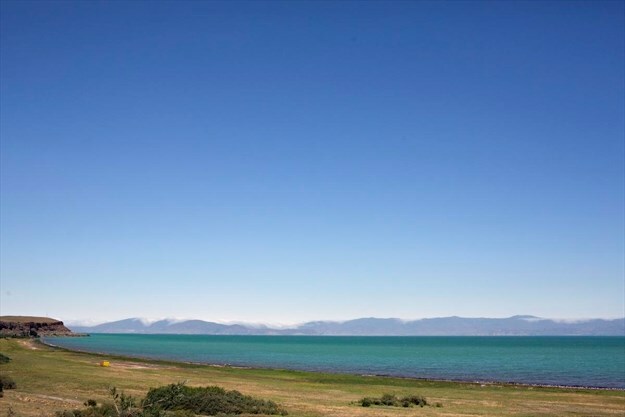 Lake Sevan, Armenia's blue pearl, is located nearly 60kms away from Yerevan and covers an area of 1272 sq/km, which is over twice larger than German Bodensee Lake. “Mount Ararat, 5137 meters high, and the peak of which is snow-covered almost all year is now in the territory of Turkey. The mountain is the national symbol of Armenians. Until the Armenian Genocide of 1915 Armenians used to live around Ararat Mountain. According to the Bible, after the great flood, Noah's Ark landed on Mount Ararat. For seeing this impressive mountain from a short distance one can go to Khor Virap monastery. This sanctuary is a famous pilgrimage direction”, reads the article. Each time I've come to Yerevan in the past decade, the city has surprised me with its evolving elegance and cultural richness. The downtown has an energy that is a long way from the sleepy Soviet city I first visited in the 1980s. Walking the shady avenues off Republic Square on a recent visit, I found the city has become a hip place, with wine bars, microbreweries, cafés, art galleries, boutiques selling crafts and carpets, and an ever-new array of restaurants, as well as upscale hotels and clothing stores. The new mood is defined by the millennial generation's role in the velvet revolution of this past spring. After weeks of peaceful protests, the civil society has pushed from power an old regime that much of the nation viewed as dysfunctional and corrupt, representing a continuation of old Soviet mentalities. When Nikol Pashinyan, a prominent journalist, activist and former parliamentarian became prime minister May 8, a sense of a new era enveloped the country. In June, I sat in a vine-trellised courtyard restaurant and art gallery on Abovian Street with Armen Ohanyan, a young fiction writer, and Arevik Ashakharoyan, a literary agent. I was hearing Armenia's new voices of optimism. "Soviet minds are a thing of the past," Ohanyan said. "The new generation, born after the fall of the Soviet Union, is playing a big role in the new democracy," Ashakharoyan said. "We are tech-savvy and have no ties to the corrupt Soviet past." Ohanyan added: "We feel a new future. The reign of oligarchs is over." Having written about Armenia for decades, I found that their words resonated. I am a poet and nonfiction writer of Armenian ancestry and have been to Armenia five times in the past decade. My trips are often connected to my work — a translation of one of my books, a lecture tour, a symposium. I started the day grazing on a classic Armenian breakfast spread at the Armenia Marriott Hotel Yerevan, an elegant building on Republic Square with fine local cuisine: bastermas (spicy, cured beef); paper-thin or thicker warm lavash; local cheeses; jams with strawberries or apricots or walnuts; thick yogurt; cherries, apricots, blackberries and melons from local orchards; fruit nectars and orange, red and brown rolls of thick grape molasses stuffed with walnuts (sujuk); and black tea from a samovar. The presentation was beautiful, and the Caucasian sun poured through the windows. Armenia became a Soviet Republic in 1920, endured Stalin's purges and repression, a massive earthquake in 1988 and a war with neighbouring Azerbaijan in the 1990s that has flared up again in recent years over the province of Nagorno-Karabakh. By all rational odds, Armenia should not be on the map today. On Sept. 29 and 30, Yerevan will celebrate its 2,800th anniversary, making it one of the oldest cities in the world. In the ruins of the ancient fortress on Erebuni Fortress Hill, fragments of murals with images of sacred animals evoke the late Bronze Age. The Erebuni museum has a fine collection of artifacts, including a huge wine storage container that documents Armenia's winemaking tradition from the Bronze Age. Those amphoras prompted me to visit the Ararat Brandy Factory, an imperial monument to the Armenian passion for the grape, set on a perch overlooking Victory Bridge, which spans the Hrazdan River. I love walking the beautifully lit, cavernous halls filled with Caucasian oak barrels. Ararat Brandy has been a major export for more than a century, and its velvety depths were made legendary by Winston Churchill, who drank it daily for decades. I left with a glow of delight after the brandy tasting that concludes the tour. Yerevan is a city of great museums, including the Matenadaran, which has a rich collection of medieval illuminated manuscripts and books in Armenian, the National Gallery and the History Museum of Armenia. I always head first for the intimate museums dedicated to major figures. The Saryan museum, for example, has two floors of works by the avant-garde landscape and modernist painter Martiros Saryan (1880-1972). In a stately stone house, the Sergei Parajanov Museum is a celebration of the great 20th-century filmmaker and visual artist's work: mixed media collages, paintings, conceptual installations and miniature drawings on matchbooks and bottle caps from the time he was imprisoned by the Soviet authorities for "decadent" art and homosexuality. I always get a good workout climbing the 572 steps of the Cafesjian Center for the Arts (also known as Cascade). It's a dramatic complex rising up from the tree-shaded, cafe-abundant Tumayan Street in five monumental limestone tiers of fountains, topiary gardens and sculptures. If you tire of the climb, you can slip inside and take the escalator, and soak up one of the most important collections of modern glass in the world, as well as paintings, drawings and sculpture. No one should come to Yerevan without visiting the extraordinary Armenian Genocide Museum and Memorial, also known as the Tsitsernakaberd (meaning swallow's fortress) Memorial Complex. It is situated on a hill that overlooks the city and Mount Ararat, Armenia's national symbol, just across the border in Turkey. Built of sleek grey basalt, its elegant new wing was designed by the museum's director, Hayk Demoyan, and his wife, designer Lucine Matevosian. Photos, maps and documentary footage on various screens accompany text that explores the history of the horrific events that took the lives of more than 1 million Armenians in 1915. From the museum visitors walk the stone walkway to the memorial — towering twin obelisks (a symbol of eternity) and a dozen 20-foot-high stone pillars. There's an amazing diversity of flora and fauna; about 240 bird species breed in Armenia and nearly 400 move through the country, making it a birder's paradise. On a sunny morning, I headed east from Yerevan in a minivan with my superb guide, Katar Taslakyan, and a driver, Raphael Hovakimyan, whose musical selections — jazz and R&B — filled the van. About 40 minutes later, we stopped at Charents Arch, an impressive monument to Armenia's great modern poet Yeghishe Charents (1897-1937). From there, we got a stunning view of the glistening, grassy highlands and snow-capped Mount Ararat. The next day, we drove south from Yerevan into the fertile Ararat Valley. In June, the apricot orchards are popping with Armenia's bright yellow national fruit and the vineyards are green. On this clear morning, Mount Ararat rose from a bank of clouds and the hot sun was mitigated by cool breezes. Farther south, in Vayots Dzor province, our van climbed the road to Noravank, a complex that includes two medieval churches, one of which was designed by the architect and artist Momik. Again, I'm blown away as monks' caves appear in jagged red cliffs that remind me of Arizona, and the milky tan limestone of the Myrig Adzvadzeen church glistens in the sunlight against a brilliant blue sky and rising mountains. The chapel at Noravank is luminous with light pouring through the windows. Gazing out those windows to green hillsides, red cliffs, blue sky, I felt the shimmer of the sublime. After a night on the Goris River at Mirhav, a beautifully appointed inn with antique Armenian artifacts and rugs, we drove to 11,000 feet through a fantasia of chirping nightingales, swooping eagles and clouds lifting off the green valley to the world's longest nonstop, reversible tramway to reach Tatev, a ninth-century monastery. As a baroque concerto spilled through the tramway's speakers, our glass car floated above villages and churches, by cliffs and grassy mountains and past gliding hawks toward the monastery, with its two conical domed churches perched at the cliff's edge. A half-hour north, the ninth-century Sevanavank monastery, with its two small beautiful, earth-coloured churches on a peninsula, is worth the climb up the steps from the shore below. I never leave Yerevan, to which we returned the next evening, without meandering through the Vernissage, the open-air market in a park along Aram and Buzant streets where there are stalls and stalls of ceramics, folk and contemporary art, rugs, textiles, jewelry and more. I bought two small antique Caucasian kilims before I wandered back to Republic Square. At night the square, with its monumental rosy tufa stone buildings, is lit up; the fountains spew through coloured lights, music plays, people dance. It's a nightly ritual in the warm-weather months — a down-home celebration to end a day, and a resilient response to the harsh history of this new nation that has emerged from an ancient civilization. 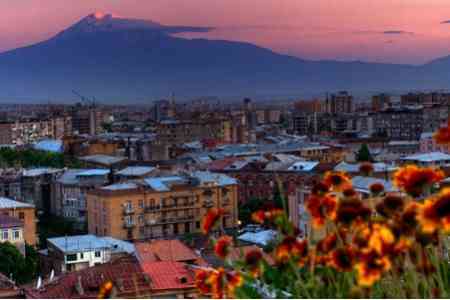 PanARMENIAN.Net - Armenia is among the 10 fastest-growing destinations in Europe, whose tourism according to new data from the UN World Tourism Organization. France, Spain, Italy, and the United Kingdom may be among the world’s most frequented vacation hubs—with France taking the global crown with a staggering 86.9 million international tourist arrivals annually—but these already popular places can only stand to grow so much year over year, Bloomberg says. For instance, French tourism grew by 5.1 percent in 2017, while Moldova saw a visitation spike of 19.6 percent when it welcomed 145,000 visitors last year. Among the destinations Chang expects to surge in 2019 is Armenia; in fact, Cox & Kings is slated to debut a new itinerary pairing the country with Georgia in the next few weeks. Among the outfitters already serving the destination are Abercrombie & Kent, Ker & Downey, and TCS World Travel, who collectively tout historical riches such as Mt. Ararat (where Noah’s Ark is said to have made landfall), the charming capital of Yerevan, and—yes—its most famous cultural descendants, the Kardashians. On trips with Abercrombie & Kent, guests also get in deep with local traditions: visiting brandy distilleries, meeting carpet makers, hearing spiritual chants in ancient monasteries, and learning to make lavash (a type of local flatbread) with an Armenian family. Also among the fastest-growing markets are Bosnia & Herzegovina, Moldova, Azerbaijan, Macedonia, Iceland, Turkey, Israel, Georgia and San Marino. Yesterday at a coffee shop in downtown Yerevan I had a small chit-chat with an elderly gentleman from Germany. He confessed to me that he and his wife are coming to Armenia fifth year on a row. I asked him what he finds that attractive in Armenia and he said - "I find in Armenia everything that we have lost in Germany".